(St Georges, Grenada)- Grenada Yacht Club and Prickly Bay Marina in St Georges are the host venues for our 2016 edition, giving participants a taste of Grenada’s beautiful bays and marine services. Race courses are set off the calmer West Coast and the challenging current-filled South Coast, with a variety of conditions to test racing performance. The sailing week starts January 28th and finishes February 2nd. The mixture of racing and course styles is one of the regattas most attractive features. 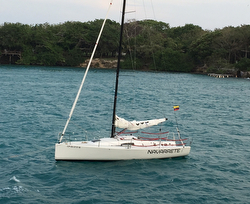 Looking forward to that challenge in CSA Racing Class will be Peter Lewis’ J/105 WHISTLER from Barbados YC. Then, in the CSA Racer-Cruiser Class, Hal Slentz-Whalen’s J/125 EAGLE’S WINGS from New Bern, NC will vie for class honors with a team from Great Britain- David Ballantyne’s J/133 JINGS! from Cowes. (Key West, FL)- Ninety miles south from the coast of Key West is Havana. It has been an elusive sailing destination since 1961 when the US imposed an economic embargo against Cuba. Now for the first time the United States has begun to allow limited boat travel to Cuba. This will not be the first time the CRC has raced to Cuba but it will be the first time with government approval. 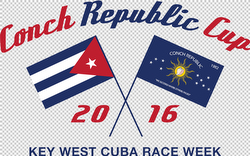 The goal is to provide a world-class format for racers to have a challenging race across the Gulf Stream to Cuba. Key West and Havana have shared a long maritime connection. It has been a unique relationship not shared with the rest of the USA. The event is designed to attract racers who have just completed Key West Race Week (KWRW) and racers that are on their way to the Caribbean racing season. It is an opportunity not to be missed! Explore BOOT Dusseldorf Boat Show! (Dusseldorf, Germany)- “J Composites” is in Düsseldorf this week for the “Boot” boat show (from 23rd to 31st of January 2016). The J/70, the J/122E and the J/112E (new model) are on display on Stand 15-B-08. If you haven’t already, be sure to jump into planes, trains & automobiles to visit this enormous, iconic event- the world’s largest boat show. (Coconut Grove, FL)- Racing on Biscayne Bay is always a season highlight for every sailor. At BACARDI Miami Sailing Week we are proud to host the J/70’s for the fifth time, a tradition that began back in 2012. This year the event will kick-off on Wednesday March 9th for the J/70s with a three-day regatta that promises to be fast, fun and furious! So far a strong entry list of twenty-three J/70s have registered for the regatta, including top teams like current J/70 World Champion Julian Fernandez’s FLOJITO Y COOPERANDO from Mexico, Tom Bowen’s REACH AROUND from Annapolis, Will Welles’ SEA BAGS SAILING TEAM, Jack Franco’s USA 3 from Kemah, TX, and Jose Vita & Marcelo Bellotti’s SUDOESTE from Sao Paulo, Brazil. (London, England)- Ian Walker was named the “boats.com YJA Yachtsman of the Year” by the Yachting Journalists’ Association. Ian is from Warsash in Hampshire and is the first British skipper to win the Volvo Ocean Race in the event’s 37 year history, when he led Abu Dhabi Ocean Racing to victory in the 2014-15 event. Ian and his team also won the in-port race series and set a 24-hour distance record of an incredible 550.82 nautical miles. As it turns out, as Ian was learning about sailing and racing on the Solent, he spent lots of time sailing various J/24s and J/80s refining his knowledge of sail trim, boatspeed, tactics and strategies. 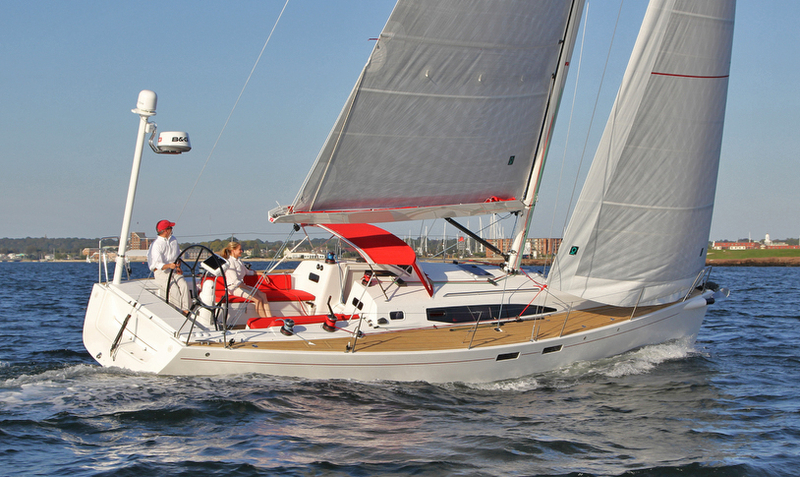 All of that experience came to bear upon sailing one-design Volvo 65s in the last race! In addition to the two Ian’s, Eddie Warden-Owen, the CEO of the Royal Ocean Racing Club, also shares the distinction of having sailed J’s for years- as J/24 European Champion as well as Cowes Week Champion on the J/35 JAILBIRD, amongst others! Listen to radio interviews with the winning sailors… click here. J/105 Sailing/ Chartering in Puerto Vallarta, Mexico!! (Puerto Vallarta, Mexico)- J/80 owner Bart Smit from Toronto, Ontario, Canada spends his winter time in Puerto Vallarta enjoying the spectacular, gorgeous waters of Bahia de Banderas all season long. For J sailors anywhere around the world, you need to experience sailing in these beautiful waters that are favored by top Mexican sailors (like the current J/70 World Champion and J/24 Mexican National Champion!). A daily seabreeze fills in like clockwork by 1200 hrs and builds to a benign 10-15 kts from the west on a typical sunny day. Does that sound OK?? Well, let’s say this, if you enjoy other “seabreeze machines” like San Francisco, Newport, Buzzards Bay, Corpus Christi, Long Beach, then you will not be disappointed by PV’s extraordinary weather. (San Diego, CA)- West Coast clubs have been running a match racing series in J/22s called the "California Dreamin' Series". It's a set of match racing events in which skippers have the opportunity to compete in three consecutive weekends of ISAF Grade 3 match racing. 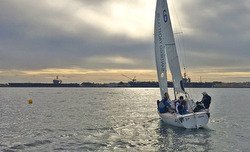 The 2016 series started off in San Diego this year, hosted by San Diego YC. Steve Natvig from Cabrillo Beach YC won the opening event of the three weekend-long California Dreamin' Series. Steve has been frequent crew for Dave Perry and was pleased to have this shot at showing what he could do at the helm. Incredibly enough, this was the first time for Natvig to be skippering a match race since 2006. Close behind in second place was Nicole Breault from St. Francis YC and in third was Alex Jacobs of San Diego YC. Long Beach YC hosts the next stop, last weekend of February, and the St. Francis YC hosts the final stop on March 12-13. The cumulative winner will be invited to compete in the Grade 2 Ficker Cup at Long Beach YC in early April. The racing area proved to be a challenge for the sailors as well. J/22s were sailing off the starting line and the teams raced to a windward mark that was placed between two monstrous US Navy nuclear aircraft carriers (1,200 ft long and 300 ft high)- the USS Carl Vinson and the USS Theodore Roosevelt. Fast Lauderdale to Key West Race! (Key West, FL)- The forecast for the start on Wednesday at 1pm was promising- NNE winds of 10-20 kts veering slowly over the next 48 hours into the ESE in the 8-15 kts range. However, by late afternoon the forecasts of a slow-moving front producing intermittent rain showers and squalls of the hockey-stick shaped 160nm race course meant that crews would have to be on their toes all night to keep their boats moving fast. As it evolved, the fleet was faced with periods of lighter airs amidst rain squalls that produced gusts over 25 kts at times and wind shifts up to 90 degrees- a bizarre phenomenon often produced the fleets proximity to the infamous Gulf Stream pumping incredibly warm air into the atmosphere as the warm front passed overhead. First to finish of the J/crews was the J/125 RAISIN’ CANE, Frank Atkinson’s local crew from Coconut Grove SC in Miami, FL, crossing the line just after sunrise at 0754 hrs on Thursday. However, finishing just over one hour later were the two J/111s. Bennet Greenwald’s PERSEVERANCE finished at 0901 hrs, just over 11 minutes in front of Gary Weisberg’s HEAT WAVE. As a result, the PHRF A Class saw PERSEVERANCE take 2nd overall with HEAT WAVE in 3rd and RAISIN’ CANE in 5th place. In the IRC Division, Paul Milo’s J/122 ORION had a slow go of it offshore overnight, finishing behind the 111s and 125 to cross the line at 1113 hrs to take ninth place in their class. Offshore veteran Frank Kern and his fun-loving merry bandits from Grosse Pointe, MI and Bayview YC sailed their J/120 CARINTHIA hard and fast all the way Midwestern blue—collar-style to take third in PHRF B Class, crossing the line at 0936 hrs. That is a LOT of silverware to add to the overloaded trophy shelves back at Camp Kern!! (Tampa, FL)- The second act of the Quantum J/70 Winter Series, hosted by Davis Island YC on Tampa Bay, produced another pleasant surprise- wind! The sailors could not have been happier to get in six races over the weekend. 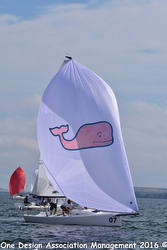 The record fifty-two entries were again eclipsed by the remarkably consistent VINEYARD VINES team lead by John & Molly Baxter from New York YC! Starting off with all top four finishes (2-1-3-4-4), Baxter’s team seemingly backed off on the gas pedal and closed with a 12th on the sixth and final race to win with 26 pts. Behind them, most teams were experiencing roller-coaster scorelines with dramatic swings from the rarified air of the top three to subterranean double-digits. Doing better than most was Tom Bowen’s REACH AROUND, posting a 7-3-5-11-7-1 tally for 34 pts to grab the silver. Settling in for the bronze was Geoff Becker’s USA 25 from Severn Sailing Association with a record of 1-10-11-1-9-9 for 41 pts. Rounding out the top five was Jeff Janov’s E.L.E. from California YC with 52 pts in 4th position and David Hiebert’s STAMPEDE from Fort Worth Boat Club with 56 pts in 5th. In the 21 boat Corinthian’s Division, everything went topsy-turvy for the top boats. Winning the division was Brian Elliott’s B-SQUARED with a record of 3-6-9-9-23-21 for 71 pts. Twenty points back in 2nd place was Todd Jenner’s TEA DANCE SNAKE with a scoreline of 11-12-15-17-6-33 for 94 pts. Third was John Arendshorst’s 20/20 from Macatawa Bay YC with 111 pts. Women’s Keelboat Worlds Sailing J/70s! (Rye, New York)- The International Women’s Keelboat Championship (IWKC) returns! 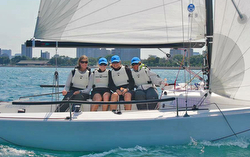 The revitalized US Sailing Championship, with a new and exciting approach, is aimed at maximizing opportunities for women sailors to participate in high caliber regattas against top international sailors. 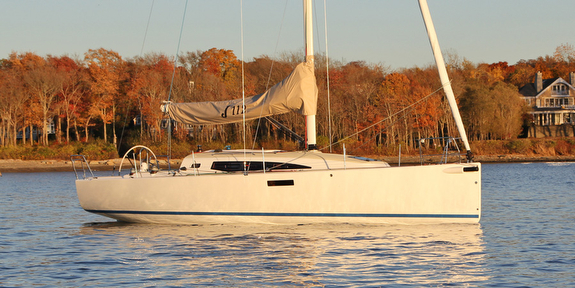 The American Yacht Club in Rye, N.Y. will host the new IWKC in J/70's from August 14th to 20th, 2016. With the goal of attracting more international teams, the championship will rotate each year to venues within, and outside the U.S.
More than ever, this championship will offer women keelboat and offshore sailors high quality racing on the international stage. Twenty-four teams will be selected through an application process. Half the teams selected will represent North American countries and half will represent countries from around the world. To ensure a fast and competitive racing format, additional changes have been made to speed up the action. 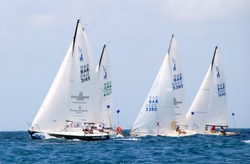 The format consists of fleet racing with a “team racing” twist, featuring two flights of six boats each with teams rotating after every two races. Each team will race an equal number of races against the others. Races will be approximately 15 minutes in duration. Host clubs will ensure quick rotations and on-the-water judging, in addition to an improved viewing experience for spectators. 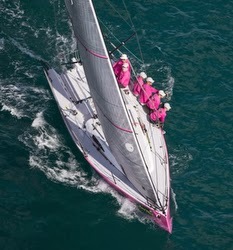 The International Women’s Keelboat Championship was inaugurated in 1985 through the efforts of the US Sailing Women’s Championship Committee--- for years the women sailed J/24s. 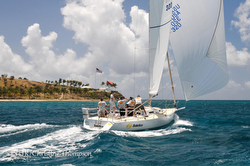 The event became one of the premier women’s sailing event in the USA and worldwide. The Ida Lewis Yacht Club in Newport, RI was host for the event and hosted the championship until 2001, before it moved around the country to different venues. The trophy is named for Bengt Julin, an international judge and strong supporter of women’s sailing. Julin presented the very first trophy to Betsy Alison and retired the original to her after she had won it three times consecutively. Alison had an unbroken winning streak competing against teams from a dozen or more nations from 1991 through 1997. In 2007, Sally Barkow matched Alison by winning the championship for the third time. An impressive list of former champions includes Cory Sertl, Anna Tunnicliffe, Jody Starck, and J.J. Fetter. 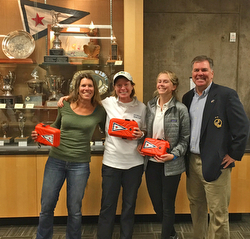 Sertl won the most recent International Women’s Keelboat Championship in 2011 at the Rochester Yacht Club (NY); last sailed in J/22's. Please contact Jake Fish at US Sailing for more information- jakefish@ussailing.org For more Women’s Worlds sailing information. (Key West, FL)- America’s “Woodstock” of sailing is about to commence in the historical capital of the Conch Republic- Key West- from January 18th to 22nd. It has a special place in the hearts of sailors from across the spectrum of time, especially for those who sailed the first major regatta held on the island back in 1978- the inaugural J/24 Midwinters. Since then, the event has attracted thousands of sailors from around the world to sail in the balmy southeasterly tradewinds, gorgeous clear blue skies, and the translucent aquamarine waters of the Florida Keys. In 2016, Storm Trysail Club and event sponsor Quantum Sails have Regatta Chairman Bill Canfield orchestrating a most excellent sailing experience in Caribbean-type waters (note- Bill ran the extraordinarily successful Rolex St Thomas Regatta for nearly two decades). As a result, the event has 140 boats registered to date with 78 J/Teams (56% of the fleet!) 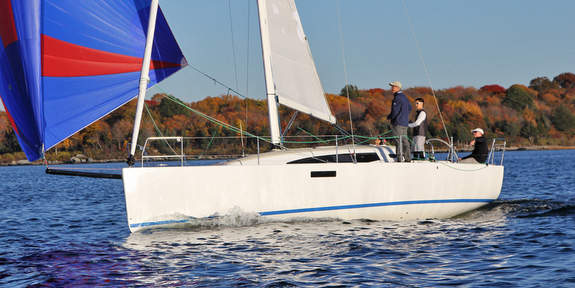 spread across three one-design classes (J/70, J/88, J/111) and three handicap classes (IRC & ORR). Nine J/111s will be sailing their inaugural J/111 Midwinter Championship on the Division I course area. It is a stellar fleet of competitors, with teams ranging from the West Coast (San Francisco & San Diego), to the Midwest (Great Lakes), and to the East Coast (Marblehead, Long Island Sound, Buzzards Bay). Past Key West class winner SPACEMAN SPIFF, skippered by Rob Ruhlman from Lakeside YC in Cleveland, OH , should be the pace-setter for the class based on their 5th in the 2015 J/111 Worlds Newport. On that basis, Bill Smith’s WOOTON from Chicago, IL and Bennet Greenwald’s PERSEVERANCE from San Diego, CA will also be strong contenders for the class lead. However, a number of other teams that are champions in their regions will certainly be contenders; such as Peter Wagner’s SKELETON KEY from St Francis YC (a top San Francisco Bay team); Brad Farber’s UTAH of Macatawa Bay YC; Marty Roesch’s VELOCITY from Annapolis YC; Gary Weisberg’s HEAT WAVE from Gloucester, MA; and the two New England teams- Sedge Ward’s BRAVO and Doug Curtiss’ WICKED 2.0. Not to be outdone by their sisterships, the J/88s are also hosting their inaugural J/88 Midwinter Championship with eight boats participating on the Division 3 course area. As the 2015 PHRF Class winner, Iris Vogel’s DEVIATION from Long Island Sound is hoping to repeat the magic that led to her first major regatta win in the J/88s. Chasing her hard will be a rogue’s gallery of teams, such as the recent AYC Fall Series winner WINGS, skippered by Mike Bruno from American YC; a top team from Lake Ontario- Joe & Jeff Pawlowski’s EASY EIGHTS from Youngstown YC; Doug McKeige’s JAZZ crew that won class in the Manhasset Fall Series; and, last year’s Charleston Race Week winner and second in KWRW, Rob Butler’s TOUCH2PLAY RACING from Collingwood, Ontario. Two “newbies” to the fleet include the new J/88 Oceanvolt model- BLONDIE 2 (sailed by Tod Patton and Jeff Johnstone) and Gary Panariello’s COURAGEOUS from San Francisco, CA. The fifty-five J/70’s registered are by far the largest fleet at the regatta for the fourth year in a row. They will be sailing on the Division 2 course area, the first one to the east out of the ship channel on the south side of the island. The level of competition continues to improve and several of the top teams from the J/70 Worlds in La Rochelle, France are participating. Like last year, the foreign contingent continues to expand, with teams sailing from nine countries- Italy, Great Britain, Russia, Mexico, Brazil, Finland, Spain, Norway, and France! There are many new faces in the crowd that are well-prepared, fast and smart. Will Jud Smith’s AFRICA continue to maintain pace after winning the North Americans in San Diego? Or, will the past two World Champions (Tim Healy’s HELLY HANSEN from Newport, RI and Julian Fernandez’s FLOJITO Y COOPERANDO from Valle de Bravo, Mexico) stay in the hunt for a podium finish? In either event, they will have the 2015 Key West Midwinter Champion, Carlo Alberini’s CALVI NETWORK from Pesaro, Italy, setting a blistering hot pace, too. Several J/70 contenders that have posted multiple top five finishes in major regattas include Doug Strebel’s BLACK RIVER RACING, Joel Ronning’s CATAPULT, Bob Hughes’ HEARTBREAKER, Tim Molony’s JOUST, Dan & Gannon Troutman’s PIED PIPER (5th @ KWRW 2015), Tom Bowen’s REACH AROUND, Peter Duncan’s RELATIVE OBSCURITY, John Brim’s RIMETTE, Brian Keane’s SAVASANA, Peter Vessella’s RUNNING WILD and Henry Filter’s WILD CHILD. 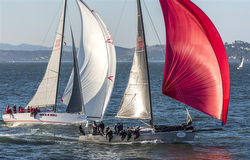 In the world of handicap racing, the famous J/125 DOUBLE TROUBLE from San Francisco Bay will be sailing in IRC 2 Class on the Division 1 race area. The class may be in for a shocker, as the DT gangster’s have “four-peated” the Rolex Big Boat Series on the Bay, winning the IRC Class against the hottest West Coast offshore teams. 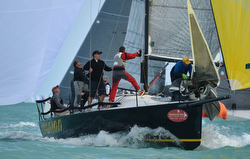 The ORC 1 Class will see two world-class J/122 teams vying for class honors- past Key West Champions TEAMWORK (with Robin Team on the helm) and Paul Milo’s ORION from Virginia (an Annapolis-Newport Race winner). 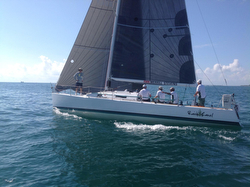 They will be challenged by Peter Sulick’s J/100 SKYFALL from Naples, FL. The ORC 2 Class has two J/80s dueling for class supremacy, including Peter Boland’s ACQUA VELOCE from San Francisco Bay and Henry DeGroot’s WIRED from Buzzards Bay. Two Girls Great Circle Sailing Adventure! (Charlevoix, MI)- Jessie and Katie on a Boat- The “Great Circle Adventurers”! Recently, we got a nice note from Jess about her most amazing adventure sailing thousands of miles with her BFF- Katie. “Stuart! I am always serious about traveling. I am very familiar with J's as I used to work at the Santa Barbara Sailing Center and took my ASA instruction courses on a J/24! I had a wonderful time in Santa Barbara and loved taking people out on the J/24 all the time! By the way, I would be interested to hear of any opportunities to help crew or deliver on J/Boats. I currently have a lot going on, but will do what I can to squeeze in adventures whenever possible! Note- Chicago Boat Show seminars- January 14th, 15th, 17th & 18th. Miami Boat Show seminars- February 11th & 14th. For J/Crews anywhere in the world interested in getting one or two incredibly experienced offshore woman sailors on board, please don’t hesitate to contact Jess @ jesszevalkink@gmail.com or Katie @ katieesmith9@gmail.com! Learn more about their two+ years of travels and adventures here- http://katieandjessieonaboat.com/ It is an entertaining blog, to say the least, with many life lessons learned for just about anyone! (Monte Carlo, Monaco)- The third act of the YC Monaco’s Sportsboat Winter Series is taking place from January 15th to 17th on Hercules Bay in front of the famous municipality along the Italian/ French Riviera. The 35+ teams participating from seven countries (Monaco, Italy, United Kingdom, Russia, Sweden, Germany, and Switzerland) will begin to focus on their training for the upcoming Primo Cup Trophee Credit Suisse that runs over Valentine’s Day Weekend. The first two weekends of the Monaco Sportsboat Winter Series have produced very close racing. So close, in fact, that the winners of the last regatta in December were determined on a tie-breaker. The top three in the last event were Sweden’s Ingemar Sundstedt on ROCAD RACING, Monaco’s Irina Travadel sailing with her crew on LIBECCIO and the German BREZE team led by Oliver Oczycz. Watch out for crews like Italy’s Mario Beraha on SASHA GREY, the German UNITED DOMAINS team skippered by Julian Autenrieth, and the top German Deutsche Segel-Bundesliga team, TRE MARKELLER helmed by Claas Lehmann, to be in the hunt for podium finishes. Windy City Boat Show- See the 112E, 88 & 70! (Chicago, IL)- Make plans now to visit Chicago, enjoy the Magnificent Mile, explore world-class museums and check out the latest boats from the J/Design team’s drawing board! From Jan 14th to 18th, the Chicago Boat Show will be taking place at McCormick Place on the south side of Chicago’s beautiful lakefront. On display will be three exciting models- the new J/112E sport cruiser that was featured in the Narragansett Bay sailing videos, the Mac Race offshore killer- the J/88 family speedster, and the wildly popular J/70 class that is growing in popularity on Lake Michigan and across the Midwest. Please be sure to contact Rich Stearns @ Stearns Boating for further information- cell# 847-404-2209 or email- rich@stearnsboating.com For more Chicago Boat Show information. (New Orleans, LA)- long-time J/30 sailor and boat owner, David Erwin, sent us a note over the holidays- “How’s the crew at J/Boats HQ? We thought you might like a summary of life experiences aboard the J/30 ZEPHYR and our crew from New Orleans YC! The music "On and On" is by Lotus Crush and is available digitally on iTunes and Amazon.com. Thanks to everyone who sailed with us in 2015. Here's one of our 'hot Mama's' sailing fast!! #TeamZephyr #GoSailing! !” Thanks Dave- an entertaining video!! 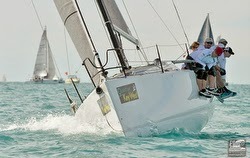 Watch the J/30 Team ZEPHYR YouTube video here. 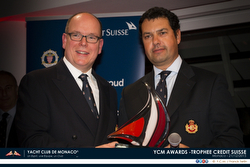 (Monte Carlo, Monaco)- At the Yacht Club de Monaco’s traditional Winter Cocktail, when Club President HSH Prince Albert II welcomes new members, the YC Monaco Awards– Trophée Credit Suisse 2015 were held to pay tribute to the Club’s top sailors. The J/70 Monaco Class President Jacopo Carrain, instigator of the J/70 class’s first European Championship held at YC Monaco in October 2015, dominated the J/70 Monaco Championship and the Monaco Sportsboat Winter Series 2014-2015. In addition, Carrain also was noted for his excellent performance at the J/70 World Championship in La Rochelle, France- top Monegasque team at 14th overall sailing CARPE DIEM MON-458. In addition, Carrain’s team was also 6th overall in the J/70 Europeans and was, again, top Monegasque team. • Have clear consistent marks on your jib sheets. You must have marks on the deck and clear marks on the sheets as reference points to duplicate fast trim setting on both tacks. • Do not steer the boat— rather steer as little as possible. Any small boat slows when the tiller is moved. I purposely held the tiller extension on my thigh upwind to minimize movement. 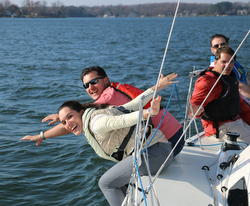 Do your best to steer with crew weight-this applies to any boat. • The spinnaker trimmer steers the boat downwind. Be sure the spinnaker trimmer is constantly talking about pressure in the sheet downwind and telling you when to come up and down to optimize your angle downwind. She/he can feel that 100% better than you, the helmsman, can. • Have a tuning matrix and follow it!!! Check your sailmakers tuning guide for rig tensions at different wind speeds. 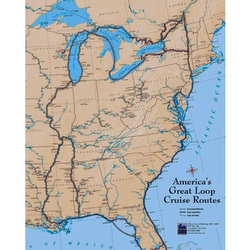 Make a chart of turns needed on your boat to get from one to the other. Follow it and set the rig back to base each time you return to the dock. This eliminates variables and second-guessing and lets you concentrate on the race. • Sail the boat at a constant angle of heel upwind. Very important to keep the boat at a constant angle of heel upwind. Use the head stay against the horizon as a guide. If you cannot hold the boat on a constant angle of heel the boat is either underpowered or overpowered. Decide which and adjust. • As helmsman downwind, help the crew with what is happening with the shifts downwind. It is hard for the crew to know whether or not you are getting lifted or headed downwind (upwind it is easy) helmsman should keep an eye on the compass downwind and communicate to the crew what he/she is seeing. • On the J/70 learn to sail wing—&-wing easily. Practice how much you need to turn the boat downwind to go to wing-&-wing and what conditions it works in (flat water, moderate winds). This is a tool that can come in very handy if you have it available but it takes some practice so as not to be too disruptive. • Trust your Velociteck! This little wonder tells you how far from the line you are. Get good “pings” on both ends (be sure the line is set first) and trust it. I found it very helpful to have one of the crew calling time and another calling distance to the line converted to boat lengths (the unit displays in meters). You can use it to help you know when to accelerate for the line. • Sail the boat like a dinghy. All smaller one designs benefit from being sailed like an even smaller boat. Use your crew weight always to steer, move forward and aft depending on wind and sea state. Get good at roll-tacking and roll-jibing in lighter air. Heel the boat to leeward to round the leeward mark- - all boats will benefit from this. Thanks for the contribution from Chris Snow @ North Sails and Scuttlebutt Sailing News. (Fort Lauderdale, FL)- Starting on Wednesday, January 13th, around noon, a fleet of forty-three boats will be experiencing one of the most famous short offshore races- the Storm Trysail Club’s and Lauderdale YC’s Fort Lauderdale to Key West Race. 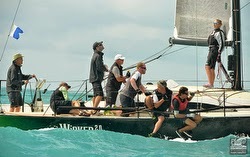 It’s the classic “feeder” race for the famous Key West Race Week. The race could not be simpler, start just off the Lauderdale Sea buoy and head south down around Key Biscayne, keep the right-turn signal blinker on, and continue to veer around to the southwest, then west, avoiding the chain of keel-hugging reefs to starboard and the speed-robbing 5 knot Gulf Stream to your left. The weather can be capricious, but so far, this year’s weather patterns promises ENE on Wednesday and swinging to ESE by late Thursday- a “Nantucket Sleigh Ride” could be in the making! Several J/Teams are chomping on their bits to pop their Code Zero’s and A3’s to fly down the island chain. In the IRC Class, Paul Milo’s J/122 ORION from Leesburg, VA will be up against some fast 50-footers. 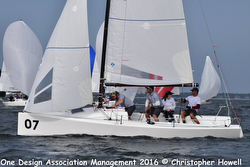 In PHRF A, two J/111s will be battling a J/125 for class honors. The 111’s include Gary Weisberg’s HEAT WAVE from Gloucester, MA and Bennet Greenwald’s PERSEVERANCE from San Diego, CA. 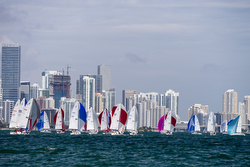 The J/125 is a past Miami-Nassau class winner and a local offshore veteran with lots of silverware to show for their efforts- Frank Atkinson’s RAISIN’ CANE from Coconut Grove SC in Miami, FL. Sweet '16 & No Calendar! ?